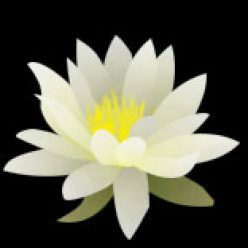 Seppo asks Gensha: Who are you, this acsetic practitioner? What is the deception that we, as practitioners, are trying to uncover? This deception is the misunderstanding of duality. We compartmentalize life into opposites and these opposites only exist in our thoughts and language. In actuality, the opposites of life move dynamically together as one great Whole Moment. Dogen is often trying to deconstruct our ideas of time and space and our fixed ideas of what life is, in order to enter into the moment where everything comes together as a whole. Sometimes we call this oneness without obliterating twoness. After studying in the last post, the way consciousness adds on stories to the one great whole moment, we determined that making direct contact with the moment is the Way. This is the Way not to live in deceptions of our thinking mind. This is a photo that Okumura-Roshi often uses to understand the oneness and twoness of all things. The young lady and the old lady exist as one splotch of ink on a piece of paper. 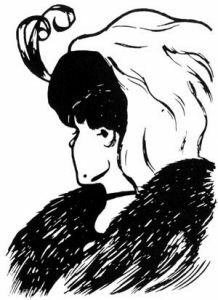 We can only see one of the ladies at a time as we refocus our eyes and minds to see one side or the other. Even though we only see one side at a time, they are, nevertheless, always and forever, intrinsically the same. This is the same as u-buddha-nature and mu-buddha-nature. U-buddha-nature is the essence coming through the form world as the miracle of the created life. Mu-buddha-nature is the essence which is not constructed or empty of form. These two natures are intrinsically one but we can only perceive them as one or the other. This teaching of not one, not two is the essential teaching of this fascicle. They, form and essence, are always inseparable. The entire 10-direction world is one bright jewel. This saying is the pronouncement that each moment and each object that is arising in this vast moment, is the one bright jewel. This moment or form is not separated from essence, The body of this moment is also not an isolated unit separated from the whole of space and the universe. The entire space of the universe is Indra’s net as the beautiful picture at the top of this blog suggests. Each being is the dynamic molecule of the 5 skandha’s energetic system and that system is completely interdependent with all the other beings. When one being gets moved, the whole system is moved. But there is no solid thing. Everything is changing, interdependent and moving. Each of the beads of the net reflect the whole. Can you see in that picture the reflections of the world in each bead? Or as Dogen writes, each bead of dew reflects the moonlight. This is the entire 10 direction world is one bright jewel. Leading my life from the basis of interdependence is not deceiving anyone. Seppo asked Gensha: Why aren’t you going on pilgrimage anymore? Now that Gensha is not deceived, he realizes that there is no place to go and nothing to “get”. His seeking has stopped. Everything he could possible want is right here, right now. He understands the “moment”. All places, east, west, all directions, are the one great place – the ten direction world.